I'm starting early this year and I refuse to scramble at the last moment trying to get a beautiful garden put together. These are most recent additions and ideas for the garden, but there is much more to come. Cold or no cold, I gotta get this stuff done! 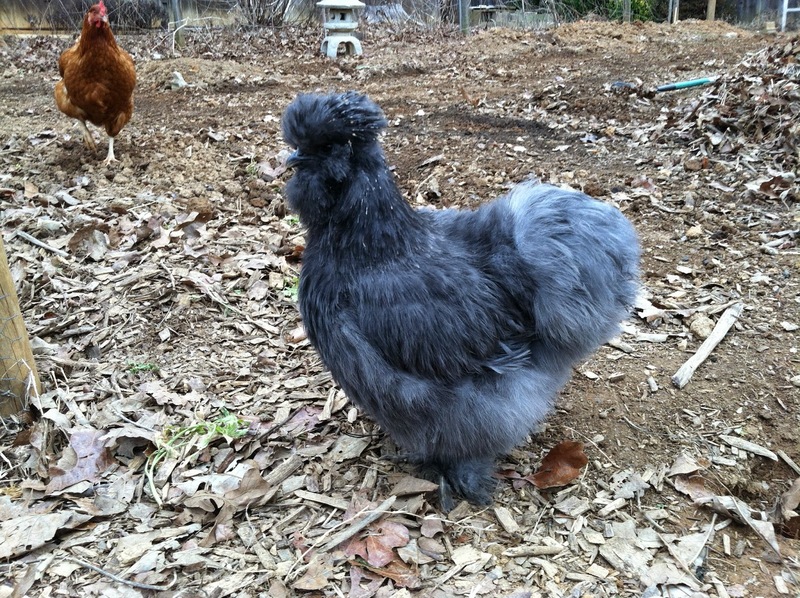 Check out fancy ol' Elouise struttin' her stuff! 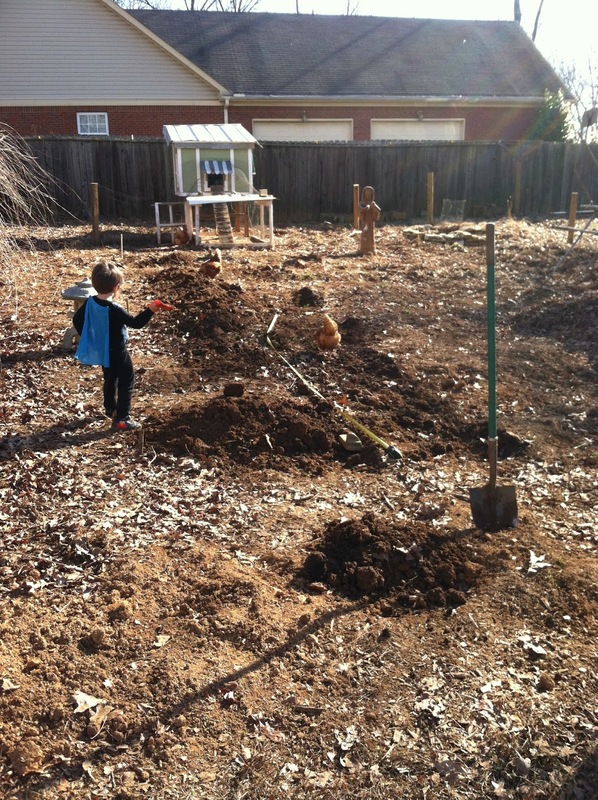 With the help of batman and my loyal chickens, we tackled the task of digging up two new 4ft x 25ft long beds along with a 2.5ft by 12ft long herb garden. 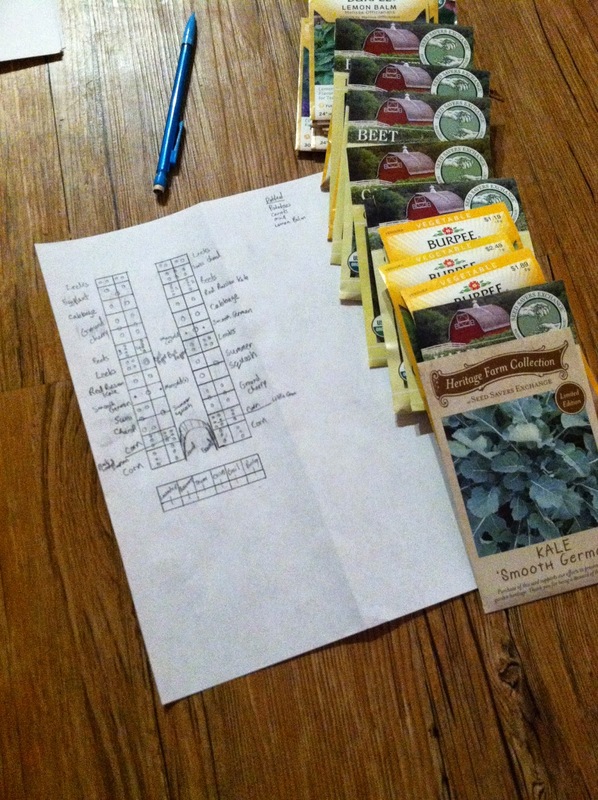 Just got in my newly ordered seeds and planning out how the plants will be arranged. I can't explain the nerdy-kind-of excitement that comes from the moment your seeds arrive and you get to think about all the lovely ways you can set up your garden. For me, it is the best feeling! People that love gardening know that feeling. It is hard to put into words. 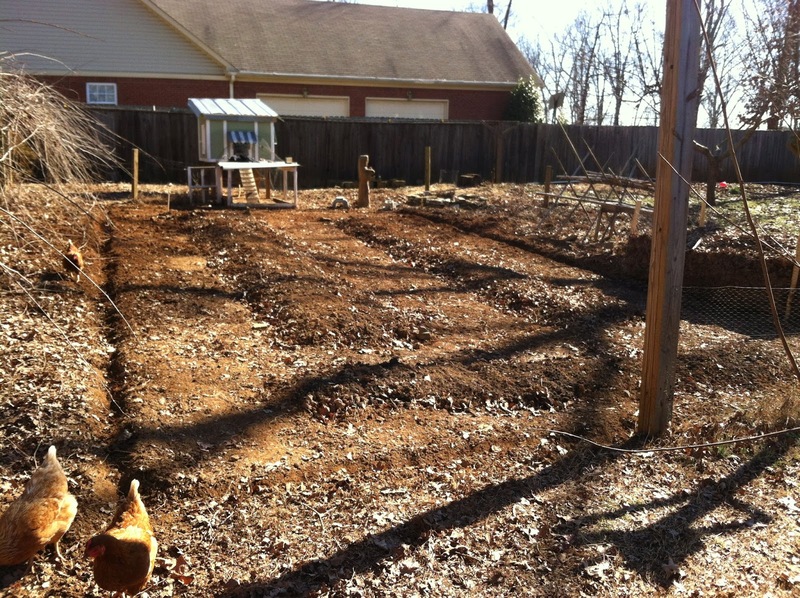 This year, I had more money to spend on setting up the garden and my latest addition to the garden plan, a new chicken run! Last year, I spent the majority of my budget on building up my soil, fertilizer, soaker hoses, supplies for building a chicken coop, other gardening tools, and a variety of seeds....I got a little carried away. I decided to go ahead and spend a little extra cash and bought he mini-green houses for planting from seed and I'm having some results already. I finally got some lavender to sprout, lemon balm, and a few other herbs. 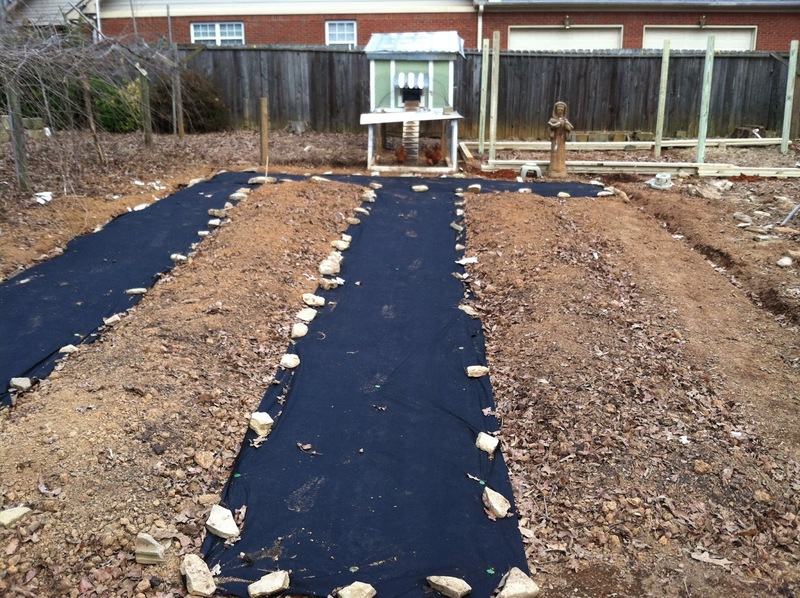 Last year, I direct sowed almost everything and had great success. I found articles that suggested there isn't much of a difference and that it was better to direct sow if possible. 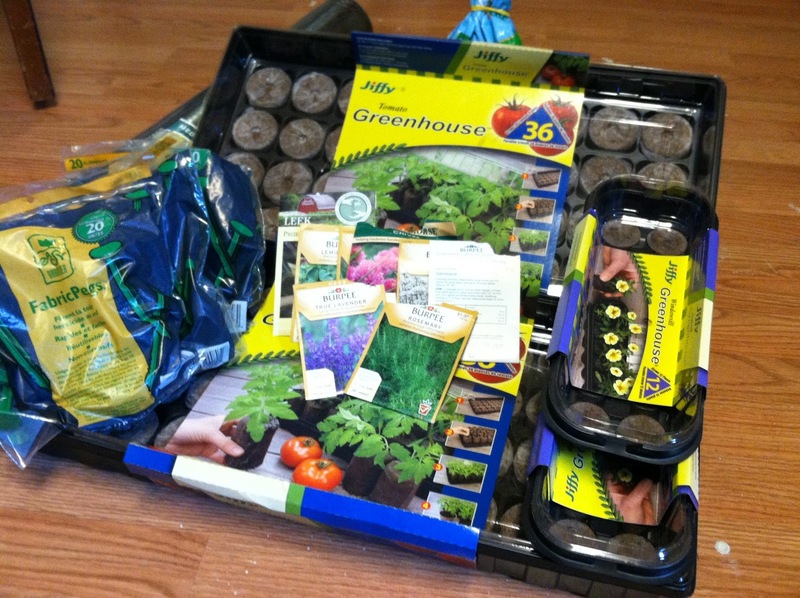 To cure my itch to garden, I am trying out growing seedlings indoors this year. It is important to add organic fertilizer, leaves, and compost into your soil when preparing your beds, especially if you didn't plant a cover crop which I swear I'm going to do this fall. I slacked off last fall and still feel like I missed out on a good opportunity to make improvements to the soil's condition. I raked the surrounding walkways so that the ground was smooth and carved out a small trench surrounding the designated garden area. 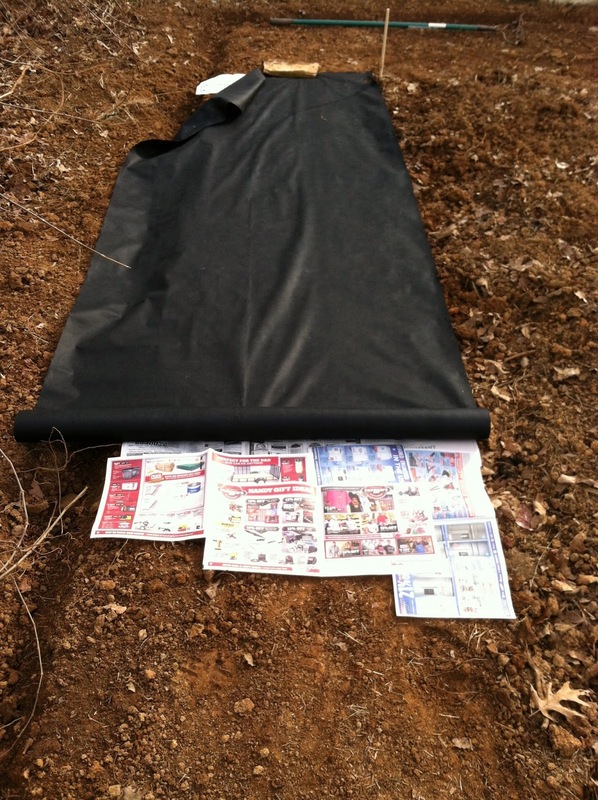 Then, I put newspaper down before laying a weed-block fabric on the walkways. I'm not done yet, but you can see the progress so far. 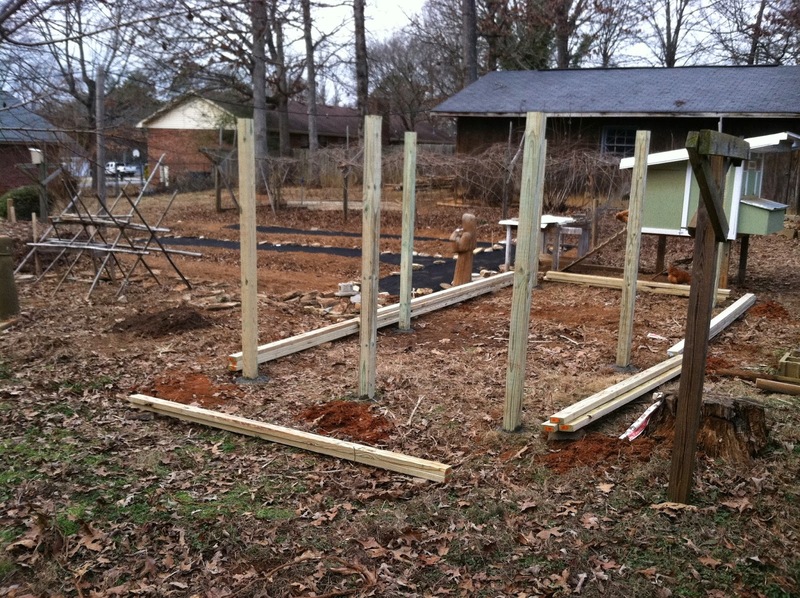 The posts have been set and I'm ready to start putting up the framing! Their new chicken run is going to be amazing and I can't wait to see them happily flying and running about in their new protected home which will be 20ft by 8ft with a height of 7ft. Their current chicken run is roughly 6 ft by 6ft and roughly 3ft high which is why I let my chickens run free most of the time given there is not an immediate danger of hawks. My wife and I have spotted numerous hawks flying around as of late. Scary...but my worries will be put to rest soon enough.